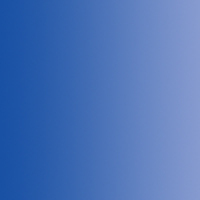 Welcome to OnlineMedSupplies.com - Let's get you on your way to better health! 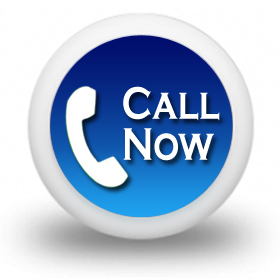 Call us TOLL FREE, we're glad to help! 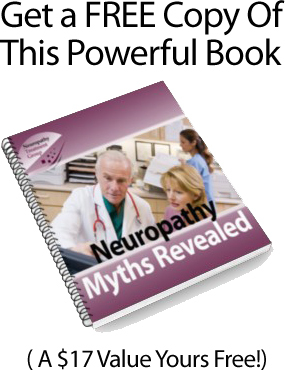 When you inquire about any of our Neuropathy treatment products! The CYBERTECH line of spinal bracing provides superior support and or stabilization for a variety of spinal conditions from acute mechanical back pain relief to pre and post-operative stabilization through motion restriction. TheraKnit Brace Electrodes are constructed of conductive fabric and 3mm neoprene, plus a hook and loop closure system. The design of each brace allows for easy adjustment of tension by the user so that an optimal level of comfort and compression can be achieved. A lead wire adapter fastens to the external snap that penetrates the neoprene and conductive material to deliver the output from the ULTIMA 20 TENS unit. The conductive fabric provides stimulation across its entire surface making placement easy and accurate - there is no need for conductive sprays or gels. The neoprene traps heat emitted from the body keeping the treatment area warm while worn by the patient. The wrap around design of our TheraKnit Knee Brace anchors at the patella (knee cap), and fully encircles the knee joint. The easily adjusted conductive garment assures proper compression and ongoing therapeutic heat. 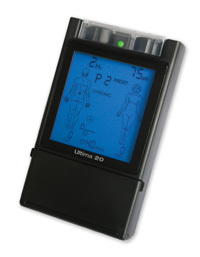 Designed to be used in conjunction with the ULTIMA 20 TENS unit for pulsed galvanic electrostimulation. The muscle stimulation from the ULTIMA 20 causes a noticeable reduction of the pain and any swelling. Muscle stimulation is commonly used to fatigue a muscle in spasm to relax it. The stimulation works on the same principle while normalizing the blood flow through the contracted muscle for a more comfortable and longer residual reduction of spasms. Our TheraKnit garments eliminate any guesswork in the size and placement of the electrodes--They stimulate the entire involved area for maximum therapeutic effect. Easy to manage wrap around design gives you the ability to balance compression and comfort via hook and loop closure. Our Wrist Brace delivers electro-stimulation where it is needed. The TheraKnit Thigh Brace's wrap around design ensures an easy application. The hook and loop fasteners enable you to adjust the compression level for comfort while the neoprene provides ongoing therapeutic heat retention and increased circulation. Compression & stimulation to the ankle is easily accomplished with this wrap around design. The TheraKnit Ankle Brace is available in Regular (men's 5-12), or Large (men's size 13-20). The TheraKnit Elbow Brace also offers an adjustable compression, therapeutic heat retention, as well as electrostimulation to the upper forearm, elbow joint, and lower bicep and tricep. Electrotherapy works by stimulating your body's own natural defenses against pain. Electrotherapy is used for relaxation of muscle spasms, prevention and retardation of disuse atrophy, increase of local blood circulation, muscle rehabilitation and re-education electrical muscle stimulation, maintaining and increasing range of motion, management of chronic and intractable pain, post-traumatic acute pain, post surgical acute pain, immediate post-surgical stimulation of muscles to prevent venous thrombosis, wound healing and drug delivery. The Ultima 20 TENS unit produces a gentle stimulation through pads, gloves, socks, and sleeves normally placed over the area of pain. This stimulus helps the body to produce natural pain relievers called endorphins. Download the ULTIMA 20 brochure! Electrotherapy can be conveniently and comfortably applied to hard to reach spots on the body with incredible accuracy. Conductive Garments are designed to be used in conjunction with a vast variety of Electro-Medical modalities both in the home and in a Physical Therapy setting. The ULTIMA 20 offers 12 preset modes and 8 manual modes. In conjunction with conductive garments, such as the ULTIMA Gloves, ULTIMA Socks, or the ULTIMA Sleeve. The two lead TENS unit allows you to connect two garments at the same time and is recommended for treating Neuropathy, Neck Pain, Torticollis, Low Back Pain, Sciatica, Epicondylitis, Wrist Pain, Post Surgery Knee Pain, Ankle Sprains, Gonalgia (Knee Pain), Coxalgia (Hip Pain), Menses Pain, and Neuralgia. To save you time our experts can contact your insurance provider or Medicare to check eligibility. Once we have confirmed your benefits our Customer Service Team will contact you so that you can make the decision. Learn how we check your eligibility! We DO NOT recommend these product if you have a pacemaker, unless your physician specifically recommends this treatment. Should you have questions regarding this please contact us and speak to one of our Personal Patient Advocates at . *Generally, you pay 20% of the Medicare-approved amount after you pay your Medicare Part B deductible for the year ($162 in 2011). Medicare pays the other 80%. The Medicare-approved amount is the lower of the actual charge for the item or the fee Medicare sets for the item. However, the amount you pay may vary because Medicare pays for different kinds of durable medical equipment in different ways. You may be able to rent or buy the equipment. This information is intended as a patient education resource only and should not be used for diagnosing or treating a health problem as it is not a substitute for expert professional care. If you have or suspect you may have a health problem, please consult your health care provider. In addition, every effort is made to ensure links to external sites as well as medical information and/or medical animations are current and correct. Medicare or your health insurance may cover the entire cost of your medical supplies. * Click here to see what products are available to treat your pain. If your insurance card has one of the following logos on either front or back, we are a participating provider. If you cannot find any of these logos please contact us to check your eligibility! The Energy Brace is one of our most versatile products. It is used for the lower back, knee, foot and ankle. 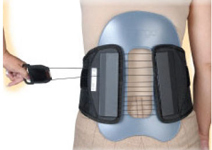 smaller and bigger sized pads allow patients to use the Energy Brace where it is needed. © 2011 Copyright OnlineMedSupplies.com, A division of Centreville Medical Arts DME. All Rights Reserved.